Ben Jonson wrote a famous and extensive verse introduction to the Preface to Shakespeare's First Folio. It wasn't the first compliment he paid to Will. That appeared in the First Folio of his own work. 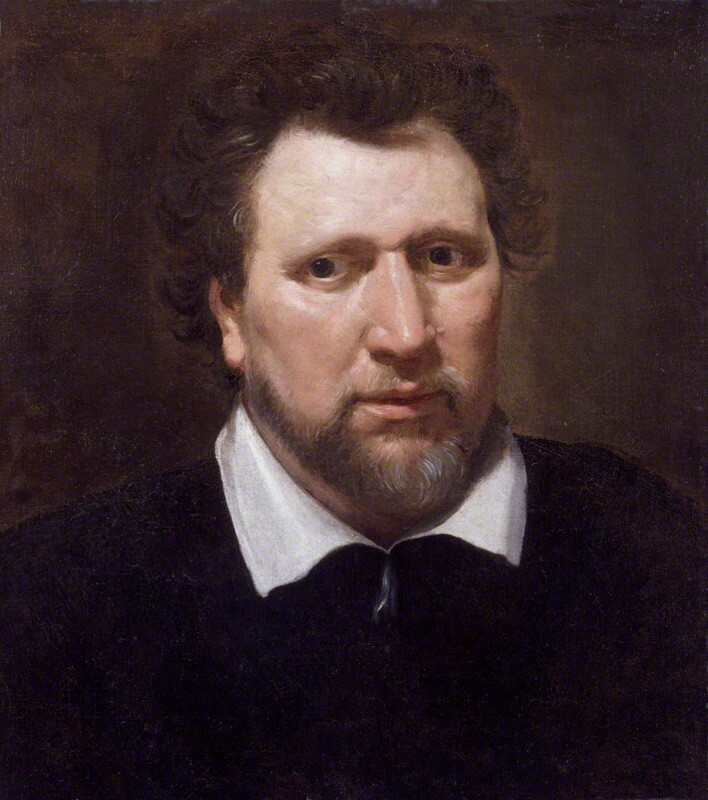 Jonson supervised the publication of the first collection of his own plays and if Will had taken the same trouble there would be no sites like this. There's no authorship debate about who wrote Jonson's plays. In his collected work, Jonson lists Will Shakespeare as one of eight 'principal comedians' and again as one of eight 'principal tragedians'. This can not be Oxford. The Earl might be able to hide in a back room producing secret writing but no peer could act anonymously on the public stage. De Shakespeare nostrat. I remember, the Players have often mentioned it as an honour to Shakespeare, that in his writing, (whatsoever he penn'd) hee never blotted out line. My answer hath beene, would he had blotted a thousand. Which they thought a malevolent speech. I had not told posterity this, but for their ignorance, who choose that circumstance to commend their friend by, wherein he most faulted. And to justifie mine owne candor, (for I lov'd the man, and doe honour his memory (on this side Idolatry) as much as any.) Hee was (indeed) honest, and of an open, and free nature: had an excellent Phantsie; brave notions, and gentle expressions: wherein hee flow'd with that facility, that sometime it was necessary he should be stop'd: Sufflaminandus erat; as Augustus said of Haterius. His wit was in his owne power; would the rule of it had beene so too. 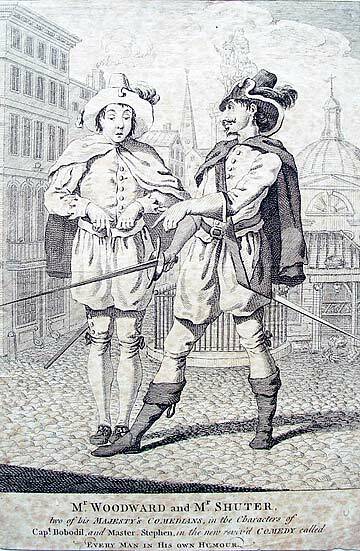 Many times hee fell into those things, could not escape laughter: As when hee said in the person of Cæsar, one speaking to him; Cæsar thou dost me wrong. Hee replyed: Cæsar did never wrong, but with just cause: and such like; which were ridiculous. But hee redeemed his vices, with his vertues. There was ever more in him to be praysed, then to be pardoned. This does not describe an Earl but it is definitely Will and almost certainly the author of Julius Caesar. This is the man Jonson knew as an actor and a playwright. Where the eulogies talk formally about a rival, here Jonson talks about a drinking mate. When he mentions Caesar, Ben is not talking about a line from the play but recalling a discussion he had with its author in an alehouse. When he talks about wishing he blotted a thousand, he is trying to make amends for some earlier unjust criticism. Like a friend might. In the film Anonymous, of course, De Vere and Jonson are co-conspirators and Will, their front man, is their favourite topic of conversation. There are plenty of opportunities for such discussion. Emmerich and Orloff must have spent hours making the relationship plausible and as far as the film goes, it is plausible. Filmmakers don't have to fit facts to historical evidence. Authorship theories, however, require more than imagined events and relationships. In Timber Jonson is writing in a notebook, clearly long after the events he is recording. Here we have Shakespeare, his writing habits and the subject of one of his plays being described by one of his close acquaintance, who happens also to be his main competitor. Someone he has written about often. Without the close links we see hypothesised in Anonymous, without some further pressing requirement to keep a secret long after those concerned in it were dead, without some plausible circumstance for which there is no record or evidence, the probability that there is a mystery surrounding the authorship of the plays beyond anything Jonson records here is highly unlikely. The probability of there being three people behind Shakespeare, De Vere and the two people Oxfordians seek to separate as Shak- and Shakespeare is even more unlikely. The probability of Jonson being able to keep that secret out of his notebooks is infinitesimal. And yet even the Oxfordians who don't believe in multiple Shakespeares still insist (and expect others to accept) that contemporary tributes and references to Shakespeare the writer were all made by those who assumed that the name was real but knew nothing else about him. All Shakespeareans have to prove to dismiss the whole Oxfordian case is that someone who called him Shakespeare actually knew him as a playwright. So thank you, Ben Jonson.